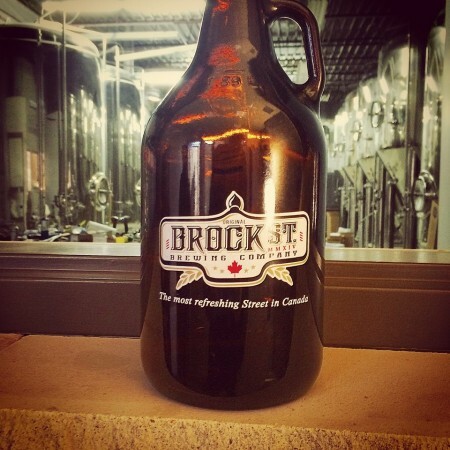 WHITBY, ON – The number of active breweries in Ontario grew once again this past weekend, with the opening of Brock St. Brewing in Whitby on Saturday April 25th. Named after an historic street that was “once a stopping point for royalty, prime ministers, and other dignitaries travelling east from Toronto to Kingston, Montreal, or Ottawa,” the brewery is actually located at 1501 Hopkins St. in Whitby, although the founders are hoping to open a second location in a former firehall at at 201 Brock St. S. in the future. In the meantime, brewmaster Eric Ross is overseeing production of the brewery’s three core brands – Light Blonde (4.3% abv), Traditional Red (5.8% abv) and American Brown (6.1% abv) – as well as a variety of rotating seasonals at the Hopkins St. location, where they are available to sample on-site or purchase in growlers to take home. For more details, see the Brock St. Brewing website and Facebook page.